FUTURE MEDIA CONCEPTS, INC. (FMC), established in 1994, is the nation's premier digital media training organization providing manufacturer-authorized training for professionals engaged in the production, editing, design and delivery of digital content. Courses offered in digital video and film editing, motion graphics, web design and development, desktop publishing, Mac IT, sound design and 3D animation. In addition, FMC is a leading producer of education-rich conferences for today's leading electronic entertainment trade shows both in the US and internationally. In 1994, Jeff Rothberg and Ben Kozuch launched Future Media Concepts as the world's first Avid Authorized Training Center. Over the years, FMC expanded its curriculum to become the nation's premier digital media training center representing the leading software manufacturers, including Adobe, Apple, Autodesk, Avid and NewTek. 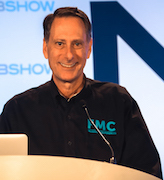 Headquartered in New York City, FMC now operates 7 additional digital media training facilities located in Boston, Philadelphia, Washington DC, Orlando, Chicago and Irvine. In recent years FMC expanded its operation internationally to include Toronto and Dubai. Additionally, on-site training is now offered worldwide. The training centers offer a regular open schedule on all software for production, post-production, motion graphics, web design and development, 3D animation, desktop publishing, architectural and mechanical design and Mac IT. FMC courses are available Online from the conveniency of one’s home or office; these courses are live interactive courses. Beyond the branch offices, FMC is a leading producer of educational conferences for the film, television, video and web industries. The company produces numerous major events around the world--most notably, the educational conferences at the annual NAB convention in Las Vegas and the Adobe Video World. Jeff Rothberg holds a BSC degree in Communications from Ohio University and is a 30 year veteran of the TV, film and video industries. He began his career working with the leading advertising agency of Kenyon and Eckhardt as Account Supervisor, managing such accounts as Quaker State, Pabst and Lincoln Mercury. He then joined forces with LRP Video, a leading 10,000 square foot post-production facility, where for in addition to aiding in the facility's initial design and continual upgrades, Rothberg mastered a variety of disciplines ranging from facility management through production. Jeff has a strong background in production, post-production and facility management. In 1994, he co-founded Future Media Concepts, Inc.
Ben Kozuch is co-founder of Future Media Concepts, Inc. Established 1994, FMC is the nation's premier digital media training organization for TV, film, video, graphics, web and IT professionals, with branches nationwide and internationally. Ben heads the conference production division at FMC. 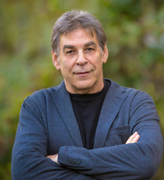 Prior to FMC, Ben Kozuch was President and Founder of Multimedia Productions, Inc., a video production company that specialized in international business training videos and production of video and audio training materials for universities, corporate trainers and documentaries. Ben holds an M.B.A. in International Business from the European School of Management in Paris. "I would certainly recommend Future Media Concepts to anyone with serious aspirations of success in their creative business...of course, a training facility is only as good as its instructors and in that respect FMC deserves a gold medal..."
"Most important, the instructor was great. He was the first instructor that kept me interested in class the whole time. His technique of teaching us made understanding the application better." "I am a graphic artist who attended the Adobe Master Class. Future Media Concepts taught me the smartest, most efficient way to think and work graphically. I learned the correct terminologies and proper approach to prepare my projects. In addition, I learned how to express myself and be understood within the visual media community." FMC is an Adobe Authorized Training Center. FMC is an Apple Authorized Training Provider. FMC is an Autodesk Authorized Training Center. FMC is a NewTek Authorized Training Center. FMC is an Avid Authorized Education Center. FMC is licensed by the Commonwealth of Massachusetts Department of Education. FMC is recognized by Inc5000 as one of fastest growing private companies in America. FMC is a member of the Massachusetts Association of Private Career Schools. FMC is authorized to offer training through the New York City Department of Small Business Services. FMC is licensed by the New York State Education Department. FMC is approved for GI Bill training through the United States Department of Veterans Affairs. FMC is a VUE Testing Location.